Wi-Fi is fast! Wi-Fi is useful! 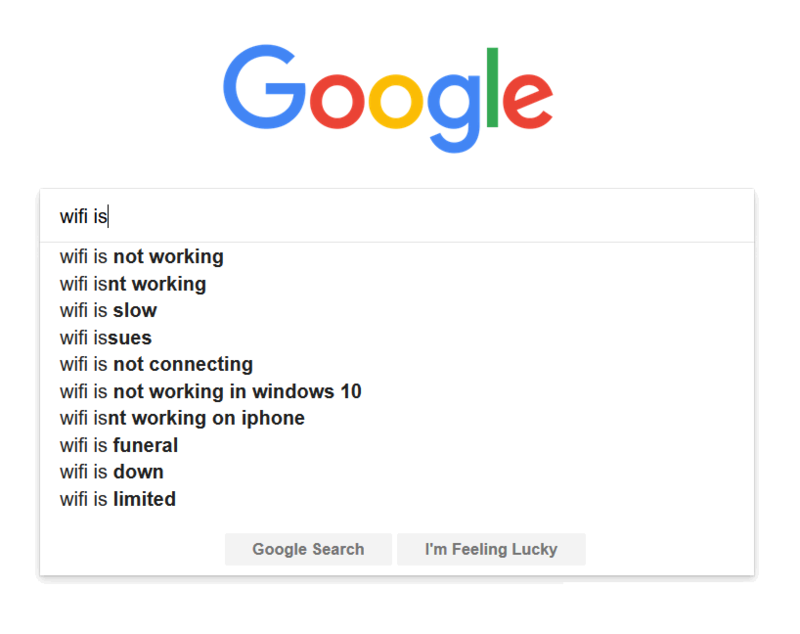 These are some of the things you'd expect a Google search for "Wi-Fi is..." to return, right? Well, the reality is very different - see for yourself! Sadly, Wi-Fi is slow, is limited, isn't working, and so on. Many people experience lots of problems with wireless networks. Often times, the problem is signal propagation, or, to be more precise, signal performance, which degrades quickly as you move away from the signal source - your router's antennas. 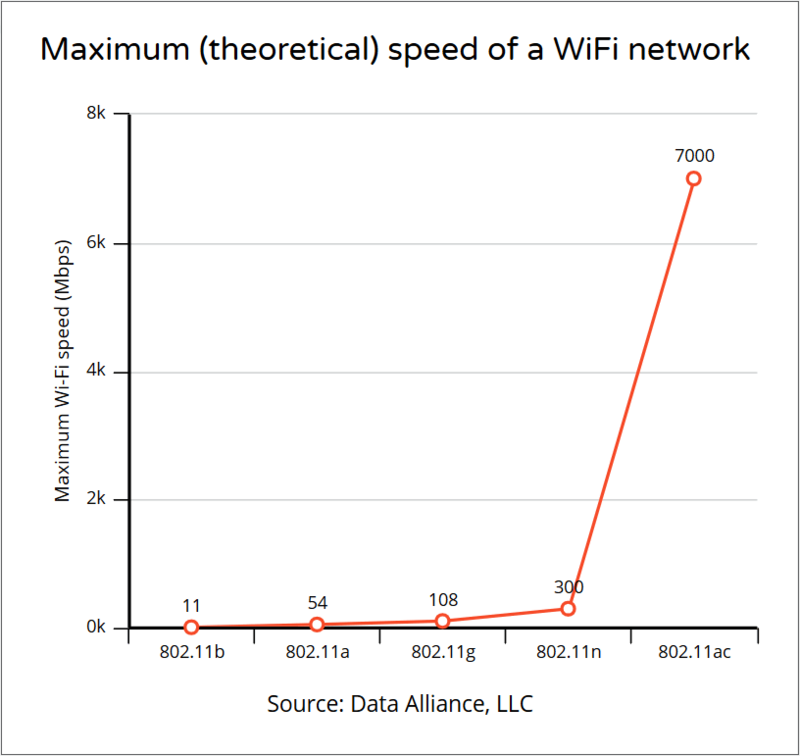 And this happens despite the huge Wi-Fi speed growth in the last decade - see for yourself (source: data-alliance.net). Don't worry, though; most problems can be fixed using a few simple tweaks, and often times without spending any money. It's true that you may need to purchase some additional hardware, but I promise that it won't be expensive. Here are the best methods to increase Wi-Fi signal strength and boost Internet data transfer speeds. Responsible router manufacturers patch their routers' firmware regularly. Some of them - Asus, for example - will even provide powerful apps that allow you to update router firmware using your smartphone. Router firmware updates fix various security issues and increase signal range. And it only takes a minute to update the firmware using your phone! Of course, if you have an older router, you will need to visit the manufacturer's website and download the firmware. Then, log into your router's admin panel, upload the firmware and patch the router manually. It takes more time, but it helps keep your network fast and secure. If the manufacturer has stopped producing firmware updates for your router, you can install a third-party router OS. Did you know that most people hide their routers in cabinets? Apparently, it makes sense to do that, because most routers look ugly with their big, black cases and antennas. But if you put the router inside a cabinet, you are minimizing its performance. To fix the problem, place the router on top of the cabinet. Orient its antennas vertically to send a strong Wi-Fi signal in all directions, or tilt them towards the room (or area) that needs an extra signal boost. Also, be sure to place the router away from metallic surfaces, big electronic devices, and other appliances that may interfere with its signal (think microwave ovens, intelligent fridges, etc.). There are lots of apps which can be installed on your smartphone, and then are able to evaluate Wi-Fi signal strength. Place your smartphone in the areas that need a signal boost, and then move the router around until you get the strongest signal. Then, orient the router antennas to boost Wi-Fi performance even more! Just like you, I've purchased a modern router that works on the 5 GHz band as well. But after setting it up, I was disappointed by its small signal range. Fortunately, things changed for the (much) better the minute I switched back to the old 2.4 GHz band. The moral is simple: don't use the newer 5 GHz band! I mean, it's okay to use it with devices that are closer than 10 feet to the router, but if have Wi-Fi devices in other rooms, the old wireless band will work much better. I know, the new Wi-Fi band can deliver a better throughput indeed, but please keep in mind that this will only happen for the devices that are in the same room with the router. If you plan to keep your laptop in the same room with the router, for example, it may be a good idea to set up separate Wi-Fi networks for each band, and then connect different clients to both networks. Did you know that most routers broadcast on the 6th or 11th channel by default? This means that you and all your neighbors may be sharing the same frequency band without knowing about it! To fix the problem, use the same Wi-Fi traffic analyzing app you've installed on your smartphone to discover the channels that are available in your area. Then, log into the admin panel and pick the least crowded Wi-Fi channel for your router. Sometimes it's time to let your good, old, trusty router go. It has served you well all these years, after all. You can get a new router for $50...$100, and it will hopefully last for another five years or so. Yes, I know that some of the routers in the list cost more than $100, but even the $59 router is probably much better than what you are using now, right? By upgrading to a new router, you will also get access to all these exciting new features: MIMO, QoS, guest networks, and so on. Not to mention that you'll get regular firmware updates, which will keep your network secure, at least for a few years. Don't throw the old router, though! You can still use it to extend the range of your Wi-Fi network, for example. Simply log into its admin panel, and then set it up as a wireless repeater. Then, place it close to the area that would benefit from a stronger Wi-Fi signal.